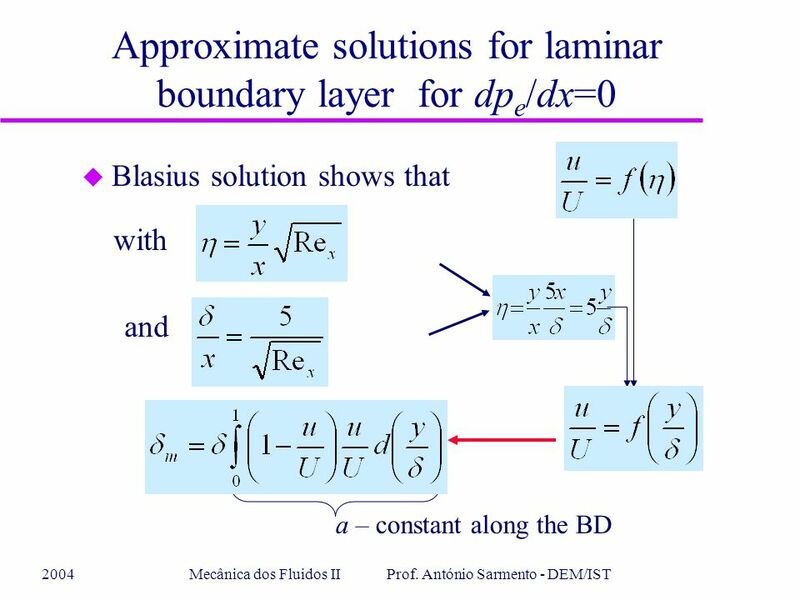 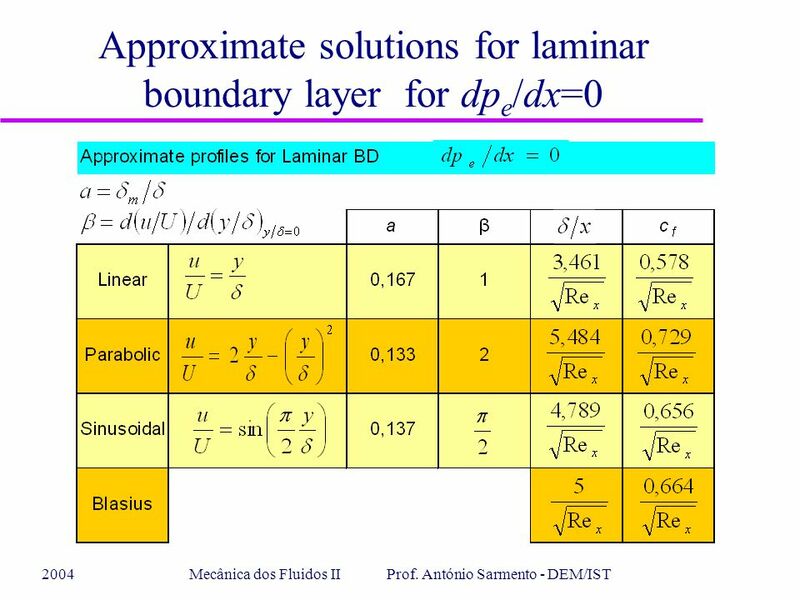 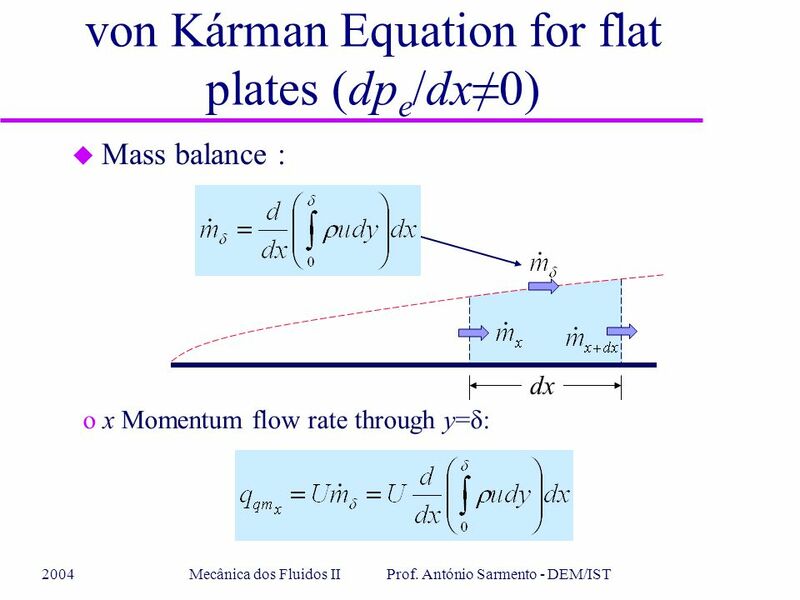 2004Mecânica dos Fluidos II Prof. António Sarmento - DEM/IST von Kárman Equation for flat plates (dp e /dx≠0) u For laminar or turbulent flows: in the. 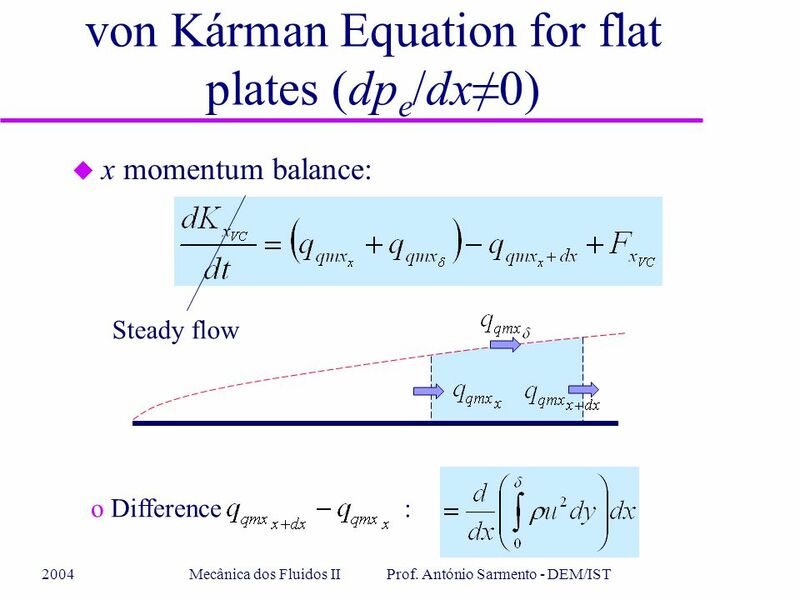 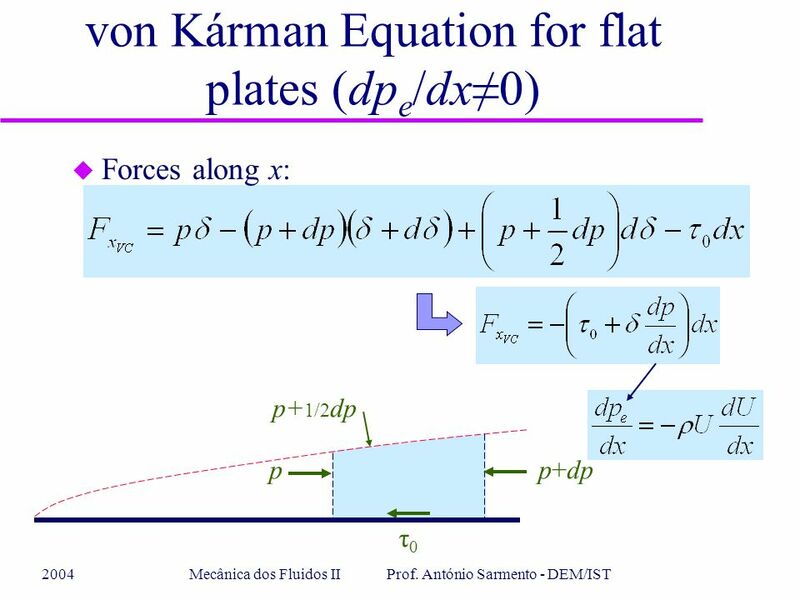 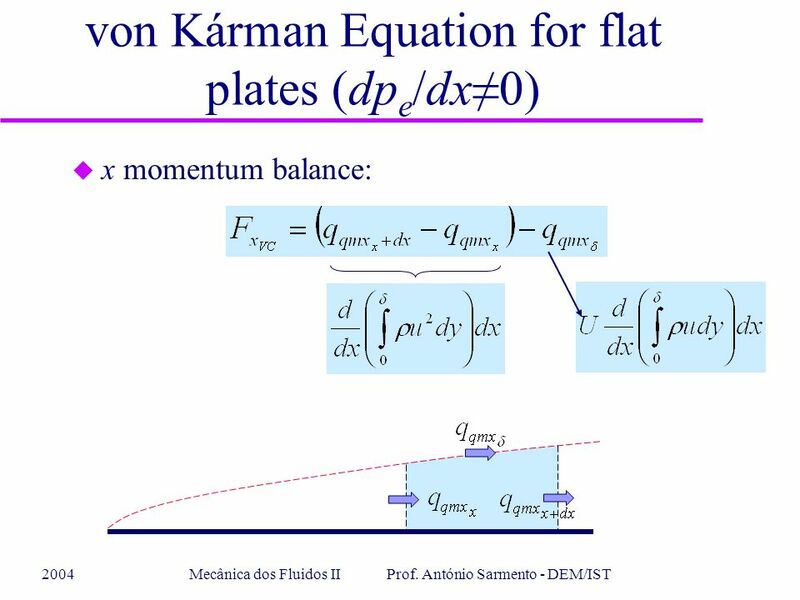 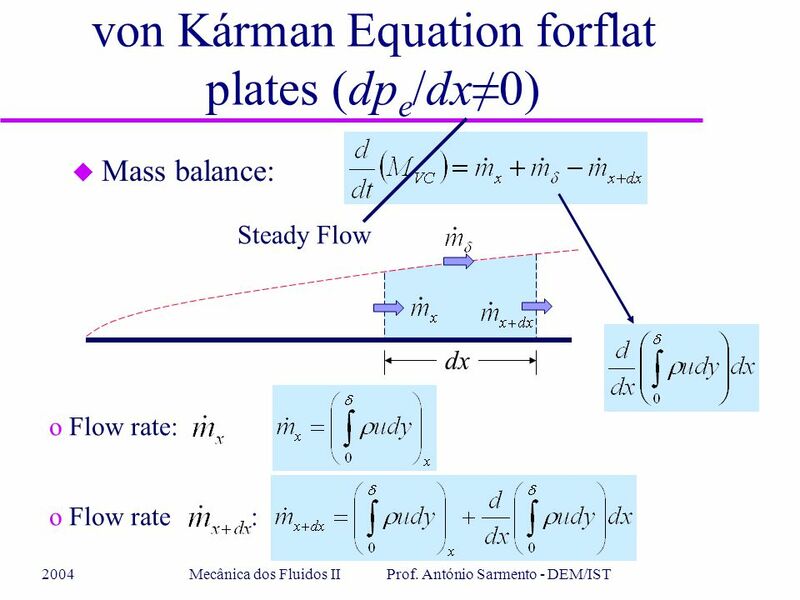 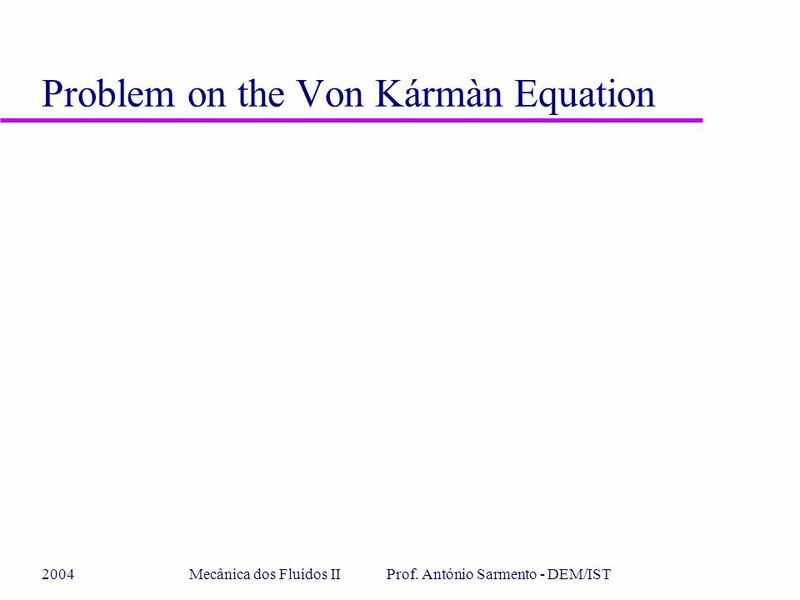 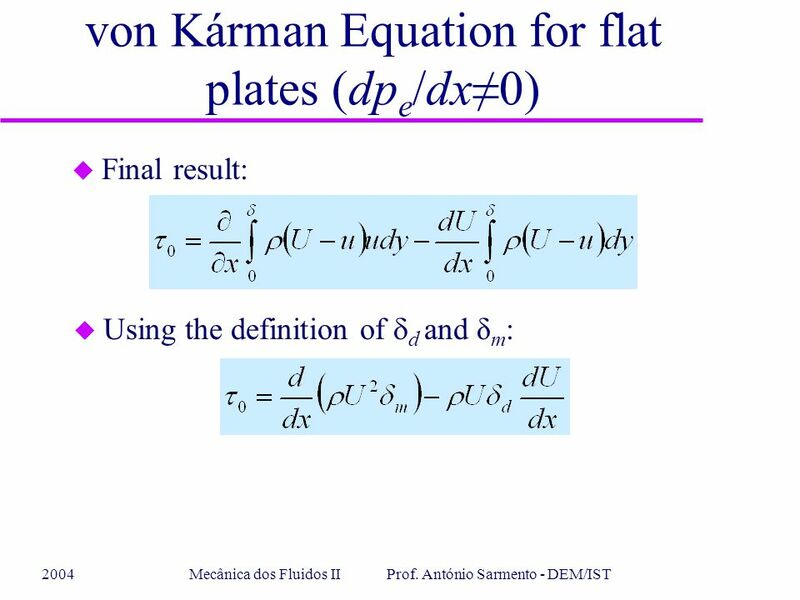 Download ppt "2004Mecânica dos Fluidos II Prof. António Sarmento - DEM/IST von Kárman Equation for flat plates (dp e /dx≠0) u For laminar or turbulent flows: in the." 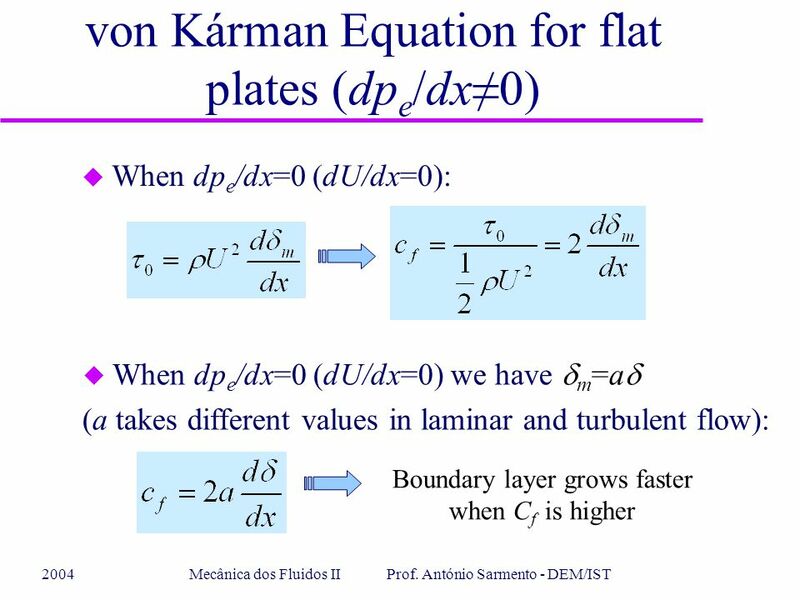 Boundary layer with pressure gradient in flow direction. 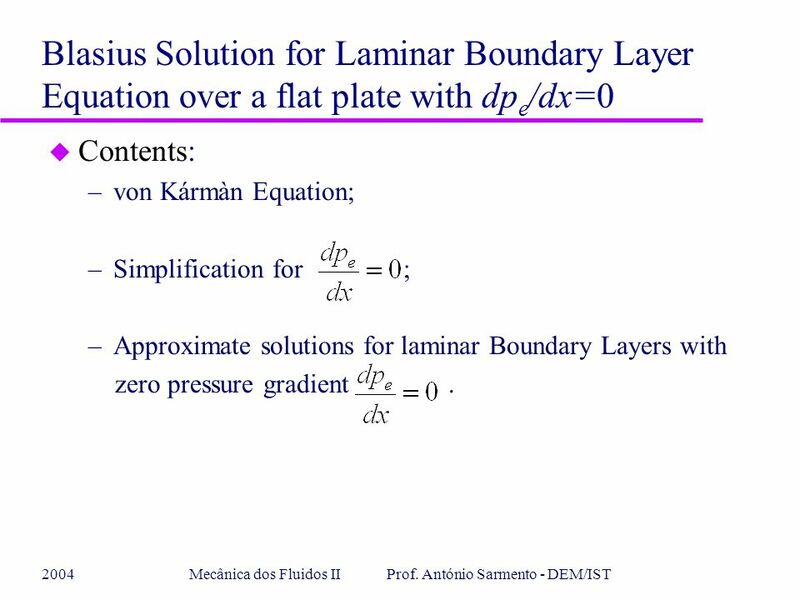 Lecture 2 Properties of Fluids Units and Dimensions 1. 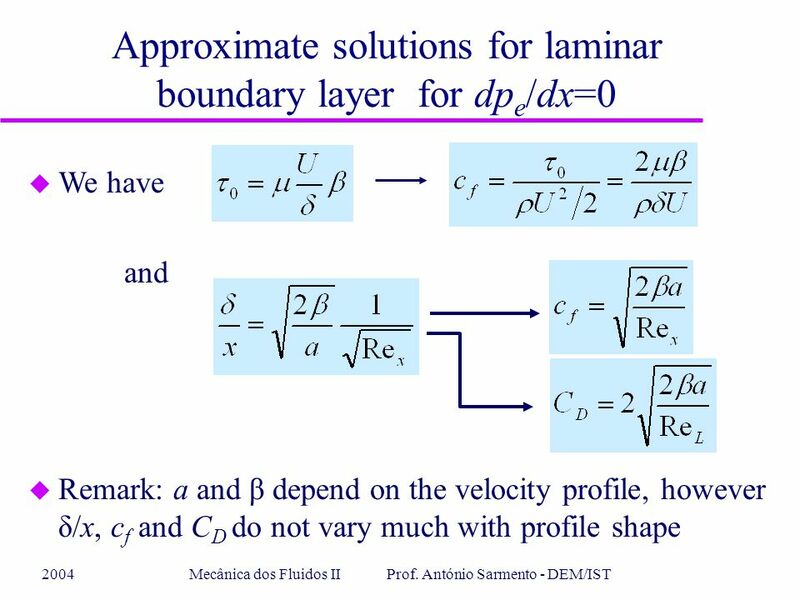 Boundary Layer Flow Describes the transport phenomena near the surface for the case of fluid flowing past a solid object. 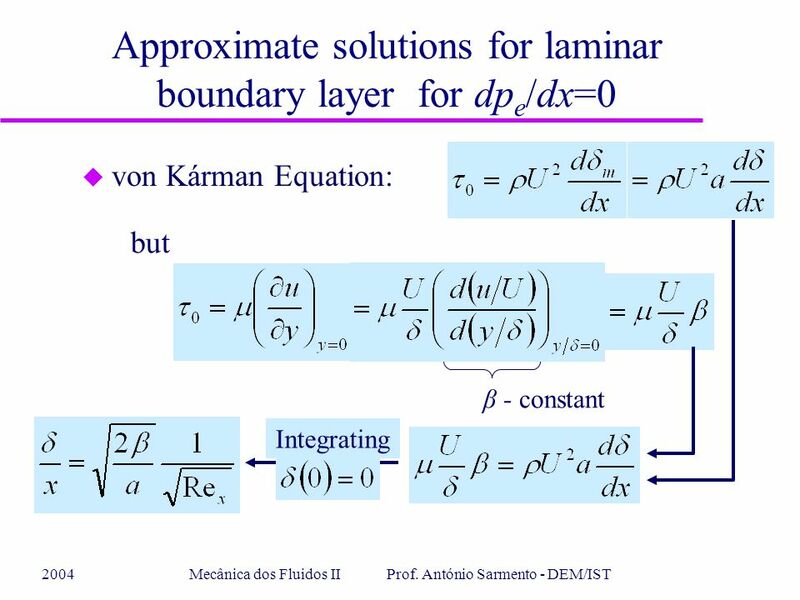 Transport phenomena in chemical processes part III Michał Araszkiewicz PhD. 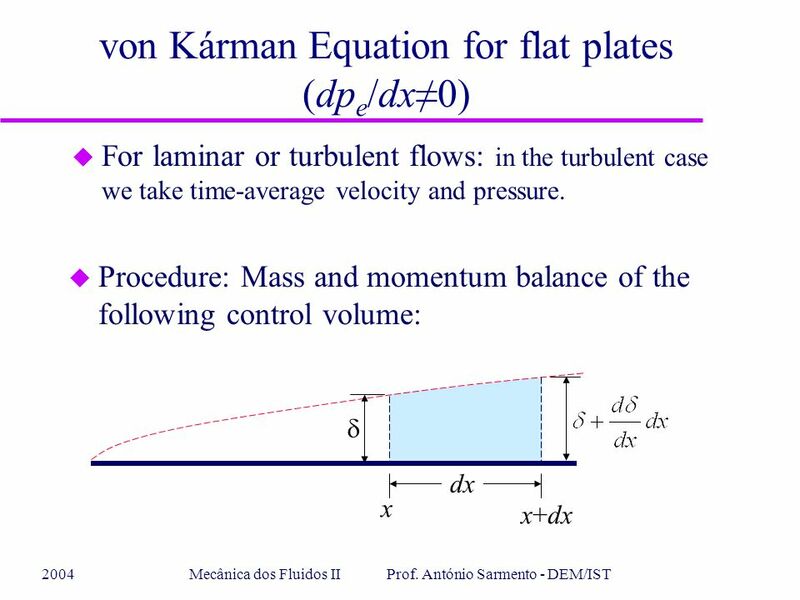 Pitot Stagnation Tubes Under Laminar Conditions *P7.24 Jace Benoit February 15, 2007. 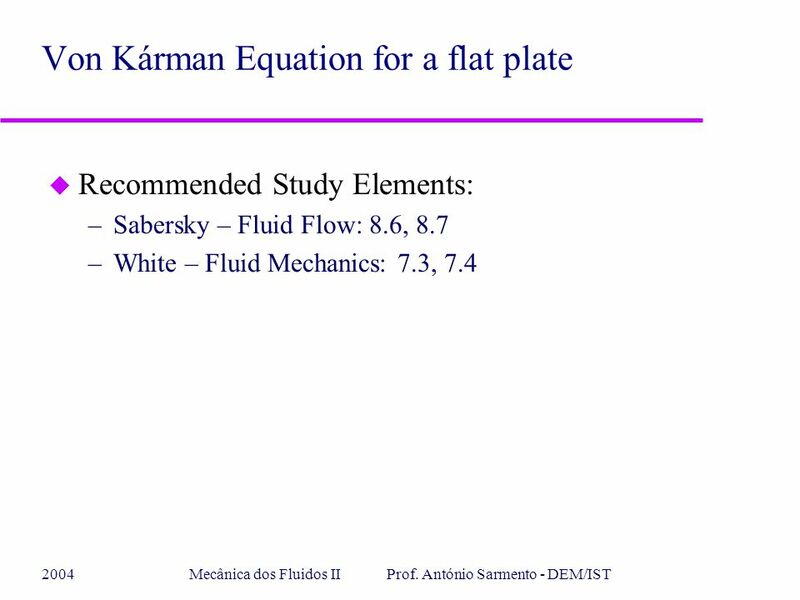 Fluid Flow Pressure, momentum flux and viscosity..
A Numerical Solution to the Flow Near an Infinite Rotating Disk White, Section 3-8.2 MAE 5130: Viscous Flows December 12, 2006 Adam Linsenbardt.